Motivated Seller! Conveniently Located Only Blocks to the B E A C H! 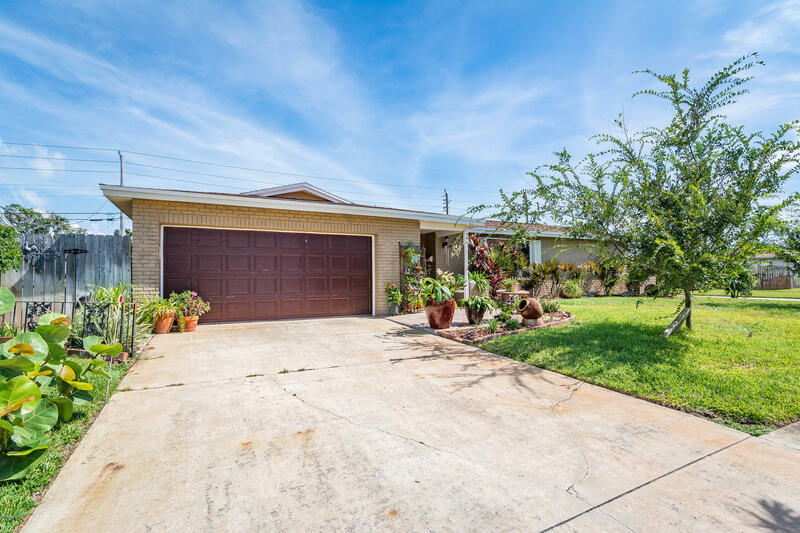 This Spacious Split Floor Plan Boasts 4 Bedrooms, 2 Baths, Multiple Living Spaces + Lg Florida Rm, Custom Kitchen With Solid Surface Tops & New Stainless Appliances. Plantation Shutters For All Windows, Spacious Bedrooms, Remodeled Bathrooms With Custom Vanities. Fenced Backyard Has Room For a Pool! Trane HVAC (2014) & New Ducts, H/W Heater 2013, Hurricane Shutters, Roof 2010, Transferable Home Warranty. Great Location For Fishing, Boating, Surfing, Beach. Close to Gleason Park - Community Pool, A-Rated Schools, Dining & Shopping Close By. SEE IT NOW! !